This first week with the Fitness Protection Program, our family’s team in the Wells Weighs In contest at the local Y, has been an adjustment — at least for me. 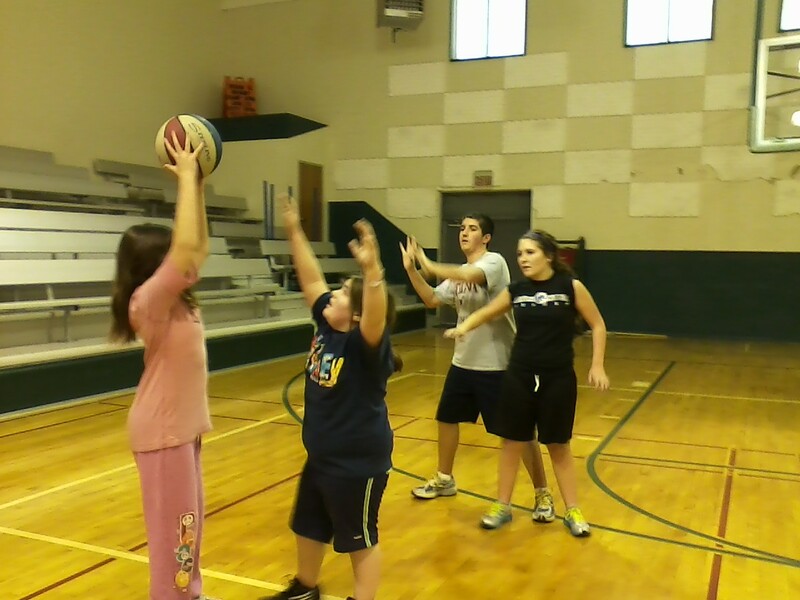 It's rare for all four kids to get to the gym at once. Even going to the gym feels different. Though we all went as a group only once this week, I was still struck by how much more teamwork was involved, from the two-on-two full-court basketball game to the racquetball pairings to the workout room shifts. 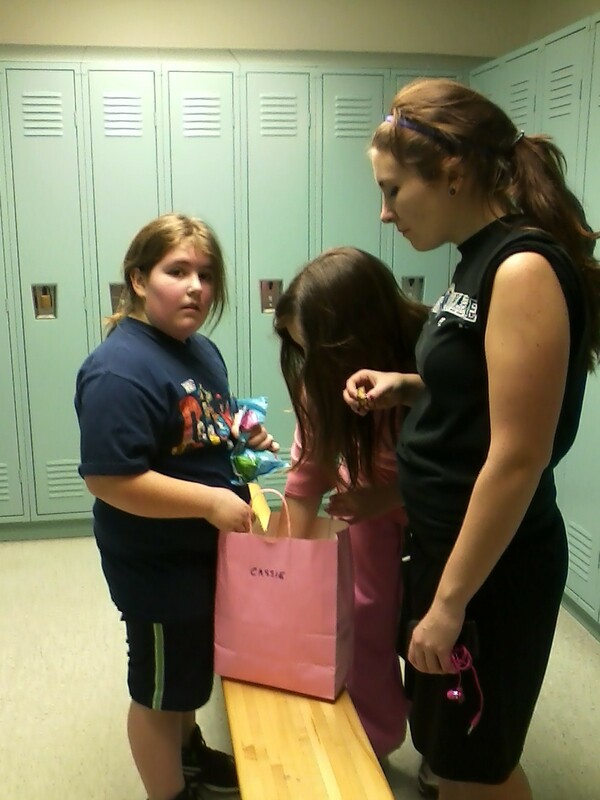 Investigating the candy stash from our gym locker. Even more mind boggling, when someone suggested we reward ourselves with a piece of leftover Easter candy from our locker-room stash, there was no fighting over who got what. Everybody picked out a piece and then got on with their lives. That DEFINITELY would not have been the case last year. Are these really my kids? Is this really my life? Did we really lose 18 pounds between the four of us in Week One? (Answer: Yes). And so: I wound up gaining weight from Wednesday to Thursday, when we agreed to have a team weigh-in at home to stay on track for the next monthly weigh-in at the Y. It was no big deal, because it didn’t wipe out my overall loss for the week. Still, it messed with my mind a bit, because in the two years since my first Weight Watchers weigh-in, I’m still “undefeated,” so to speak, at the scale**. I’m not used to slipping up like that. Still, it seems better to shift my routine in pursuit of an overall family goal. All for the good of the team…. *The Eat to Live diet, based on the book by Dr. Joel Fuhrman, isn’t new — it’s just new to me. **During my nine months of weight loss, I recorded losses every single week for 38 weeks at Weight Watchers. Since then, I’ve managed to weigh in at goal at least once a month as required to maintain my status as a “lifetime” member. This entry was posted in Fitness Protection Program, Uncategorized, Wells Weighs In and tagged Fitness Protection Program, Wells Weighs In. Bookmark the permalink.